Fiona's half of the shared office, the home of Pipedreaming Music. 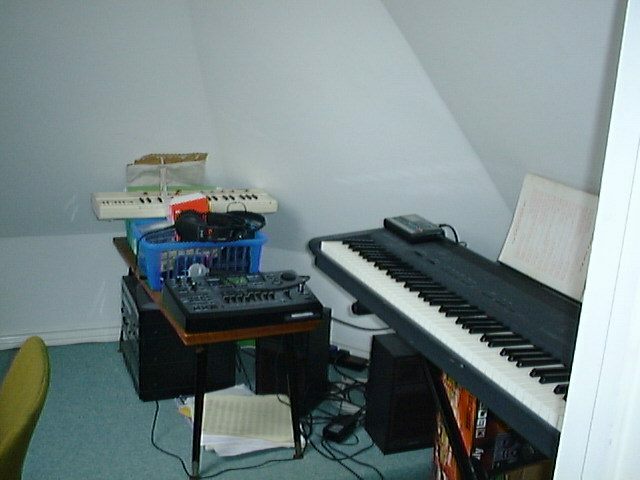 The piano is a twelve-year-old Roland FP-8, and the gizmo on the low table is a Roland BR-8 digital recording studio. It's what Fiona used to record the Child's Play CD.